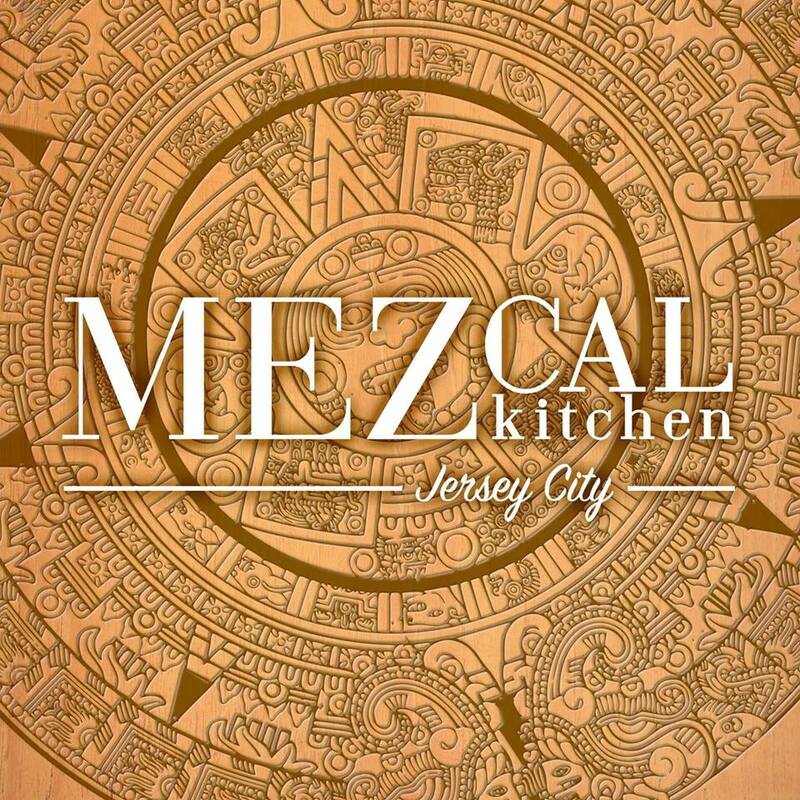 New Mexican restaurant Mezcal Kitchen recently launched their soft open at 665 Newark Ave.
Latham House is celebrating Hanukkah this week! 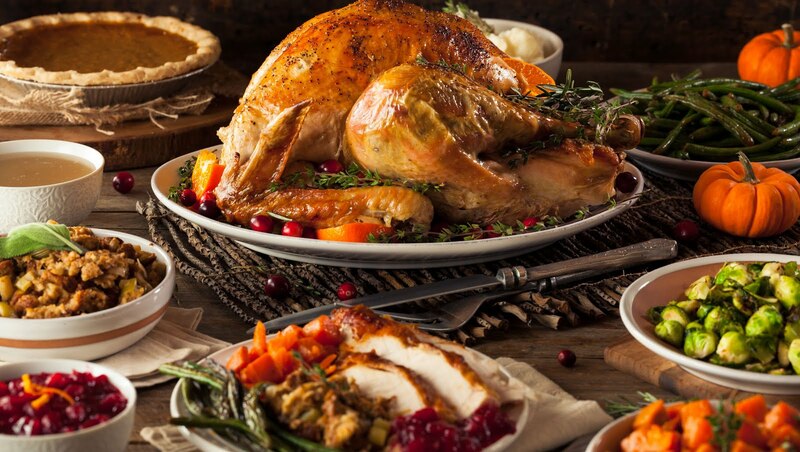 Just in time for the holidays, The Fish Stand has rolled out a special new menu featuring a wide variety of platters, appetizers, dips, salads, and more! Cellar 335 has transformed their space for the holidays to run their new themed pop-up: Sleighs n Leis. It's a tiki-themed Christmas with a specialty cocktail menu including frozen spiked hot chocolate, Rum Rum Rudolph, and others. Hooked has launched three new delivery-only restaurants: Green Things focusing on salads, Lit Burger with a variety of burger and tater tot creations, and Comfort Cookery with homestyle comfort food , all available through UberEats. Happy Halloween, Jersey City! While the weekend was full of Halloween celebrations, there's still one more night of spooky fun, so don't retire your costumes just yet! 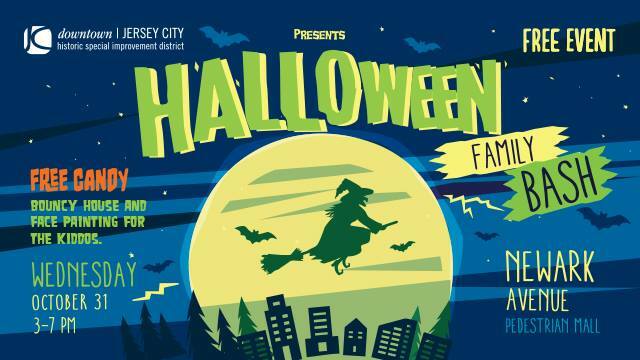 From 3pm-7pm, head to Newark Ave by Grove Street for the HDSID Family Halloween Bash with candy, costumes, face-painting, a bouncy house, and more family-friendly fun. Hudson & Co., a new nautical gastropub opened up at 3 Second Street on the waterfront late last week. 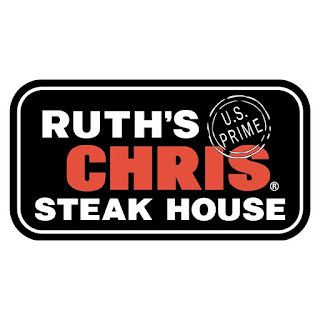 The restaurant can seat approximately 300 people and serves traditional bar and grill food including steaks, salads, and burgers, but also has a heavy emphasis on fish dishes including a sushi bar. Happy Weekend Jersey City! 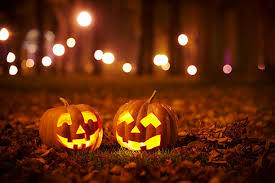 Halloween festivities are starting early with lots of events going on all weekend. There's pumpkin carving, pumpkin patches, movies, costume contests, and much much more. Harborside is hosting the "Ultimate Halloween Party" from 8pm-1am. There will be a DJ, costume contests, food vendors, bars, a photo booth and much more. Entry is $20/person online and $30/door. Oliva Market is now open in the former Tender Shoot location. They have a small selection of prepared food, drinks, snacks, fresh produce, and dairy. 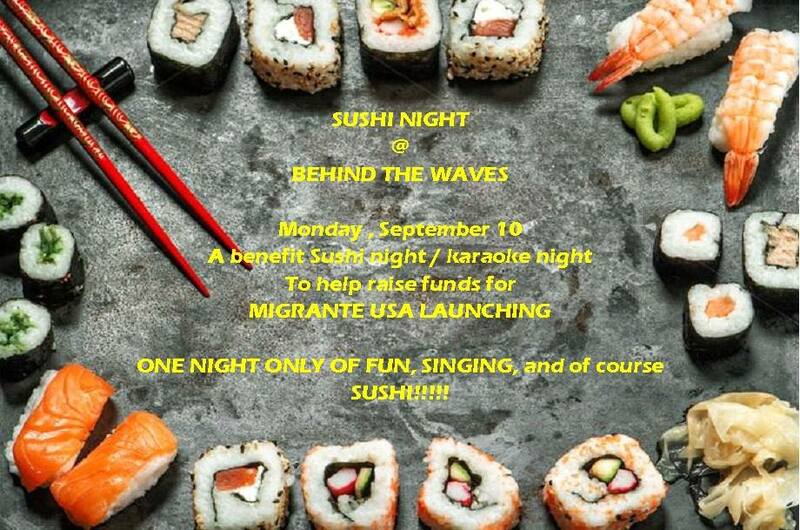 Ani Ramen is holding a special Soul of Sake event, hosted by Miss Sake USA, this Tuesday, 10/23. Tickets are $42 and include two sakes, two Suntory whiskeys, three appetizers served family style, and a bowl of ramen of your choice. 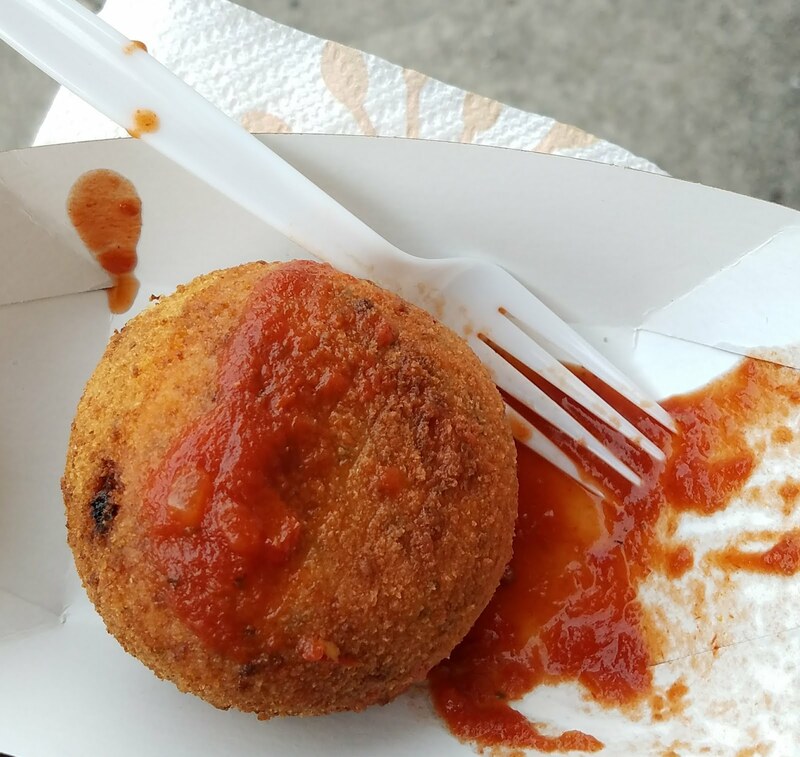 Weekend Round-Up: West Side Chili Cook-Off, Ghost of Uncle Joe's, and More! 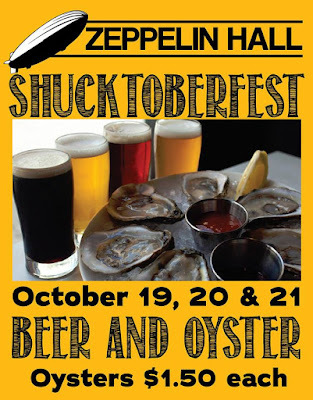 Head to Zeppelin Hall this weekend for their three day long Shucktoberfest featuring oysters on the half shell for $1.50 each. They'll have live 90s bands on Friday, a DJ on Saturday, and football all day Sunday. A new doughnut vendor, Shmonuts Donuts, made their debut at the Van Vorst Farmer's Market last weekend. Congratulations to PS Wine Bar on being named one of the 15 Most Important Natural Wine Bars in America! 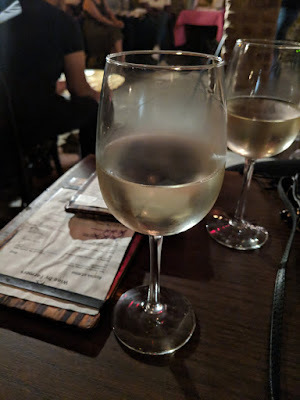 PS Wine Bar has become one of my personal favorite spots with a creative and innovative wine list that encourages experimentation. New coffee shop Thinking Cup Cafe opened quietly last week at 201 Warren Street in the former Two Aprons space. 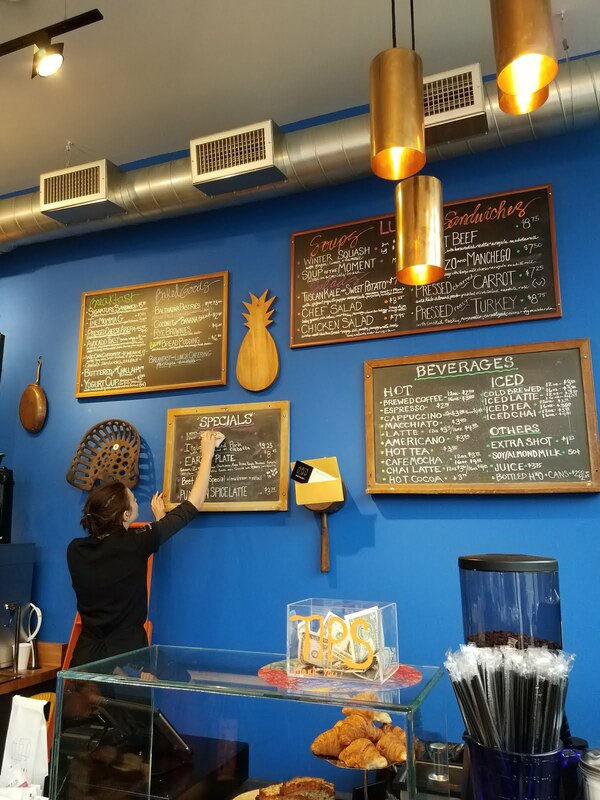 They describe themselves a fast casual restaurant specializing in Mediterranean-American inspired cuisine, carrying soups, sandwiches, pastries and more. PS Wine Bar is hosting an introduction to natural wines, "What is Natural Wine? ", featuring seven wines, information, and fun. The class is this Thursday, 10/11, from 7-9pm. Tickets are $50/person. Jersey and Co. Gelato has started offering hot drinks as we move into the colder weather. Right now, they're offering hot chocolate, a pumpkin spice latte, and a chai latte, along with their regular coffee menu, all made in-house. Mordi's Sandwich Shop is now selling Fat Man Cookies, a new business based in Jersey City with a focus on making different styles and flavors of crinkle cookies. 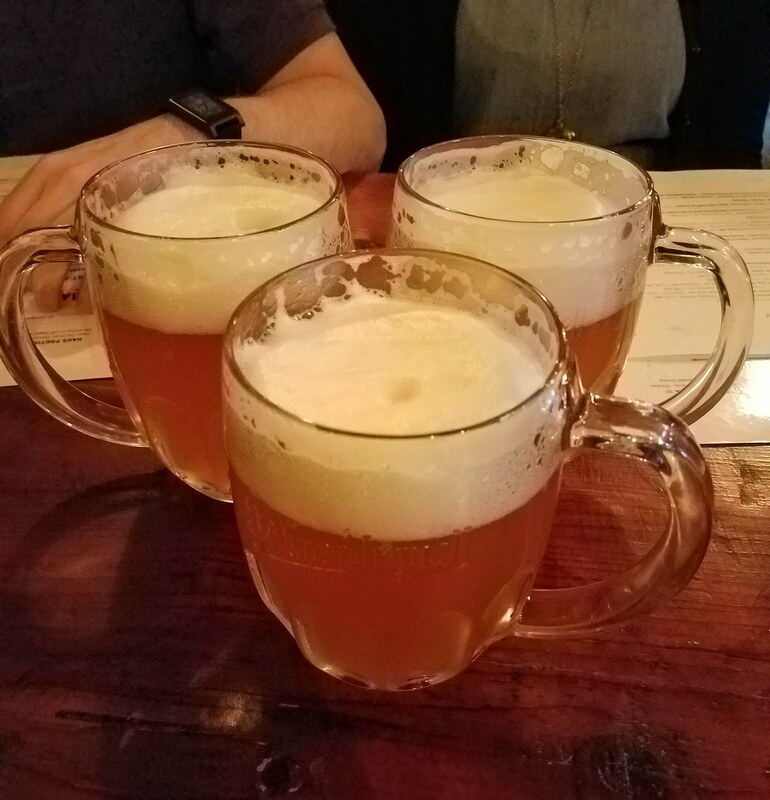 Happy Weekend, Jersey City! This weekend is full of art, anniversary celebrations, and delicious things to eat. JCAST is the Jersey City Art & Studio Tour, taking place throughout Jersey City, showcasing performance art, tours, art installations, and more. There will be events and exhibitions all throughout the weekend, including at several restaurants and cafes. 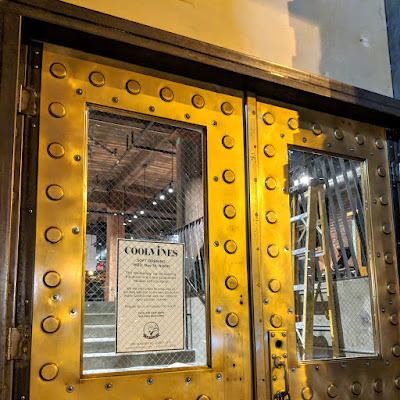 9 Bar, Choc O Pain, Hard Grove, Mision Burrito and more will have art displayed in their spaces, open for anyone to check out and several spots are open late including WHOS GF who will be open for extended hours throughout the weekend. Van Hook Cheese opened their grilled cheese-focused outpost near Hamilton Park at 232.5 Pavonia Ave over the weekend. They'll be open from 11am-7pm during the week and 11-6pm on Sundays initially and hours are subject to change. Baonanas announced they'll be opening up their first official storefront later this year! They have a spot in the West Side/Bergen Lafayette area and are hoping to open by November or December. Congratulations to Razza on being named the second best pizza in the country, according to The Daily Meal. 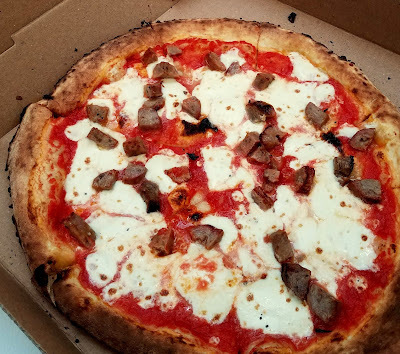 They specifically called out Razza's Bufala Pizza made from water buffalo in Sussex County. Dan Richer, owner of Razza, also recently sat down with Justin Naylor of Old Tiago Farm for an interview. Happy Weekend Jersey City! We've got street festivals, brunch parties, and more happening this weekend. 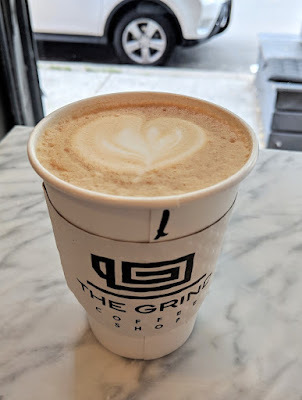 This Saturday is National Coffee Day and to celebrate, The Grind Shop is offering $1 small drip coffee all day long. Stay tuned to their IG for more surprises and specials as the day goes on! Popular cafe Square 1 is extending their hours to include dinner service on select days beginning next week. 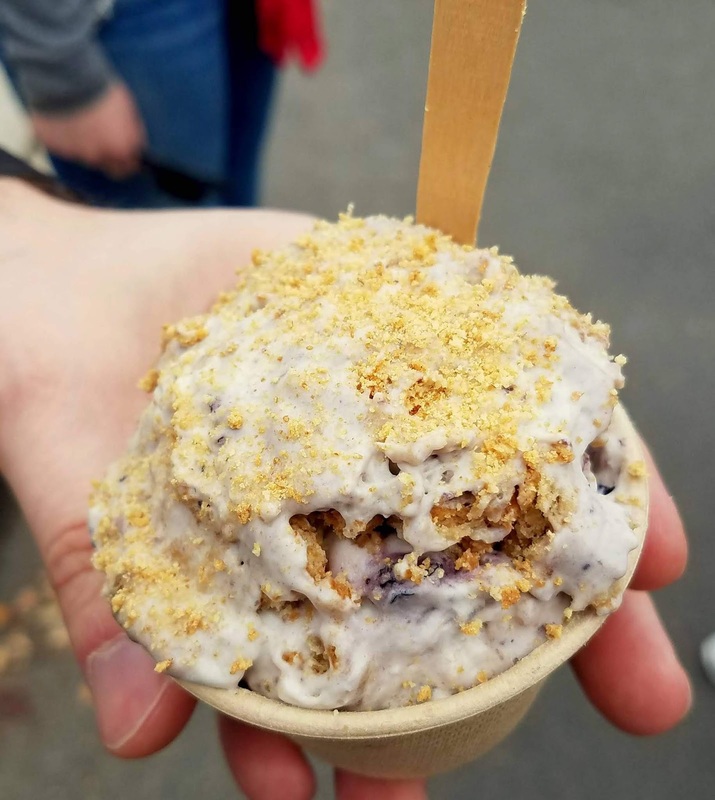 Congratulations to Baonanas who took home the Best Dessert award from this year's Vendy Awards honoring mobile vendors from all over New York and New Jersey. New Goan restaurant Bombay to Goa, located in Journal Square, received a rave review from Grub Street this week for their Ros omelette, a pepper and onion-stuffed onion covered with a rich chicken and coconut based gravy. 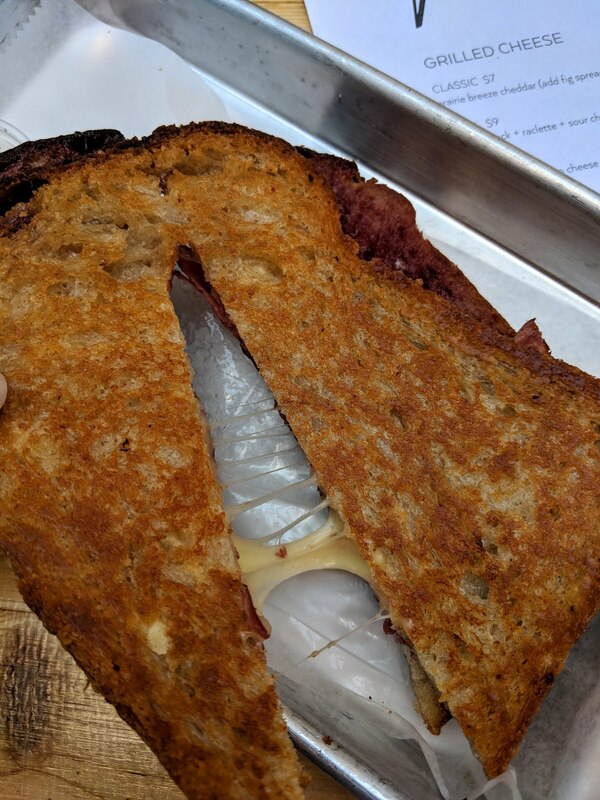 It was called "One of the World's Great Egg Dishes". Registration is now open for the 4th Annual West Side Community Alliance's Chili Cook-off. The cook-off will take place on Sunday, Oct. 21st and registration is open until 10/15 - it's free to compete. Happy Weekend Jersey City! Although festival season is beginning to die down as we head into the colder months, there's still some great outdoor events to enjoy. Oktoberfest officially launches at Zeppelin Hall this Saturday. It will run through October 14th and features Oktoberfest beers and German dishes along with German party bands every Friday and Saturdday from 9pm - 1am. 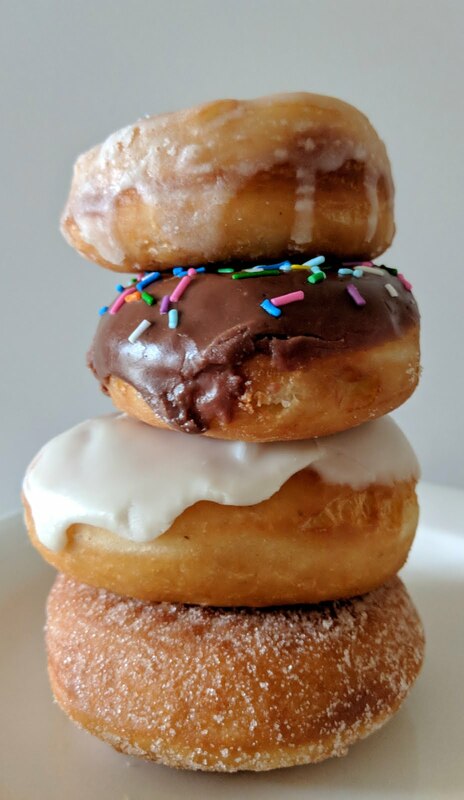 The Grind Shop has announced that they'll be carrying Underwest Donuts at the shop beginning today, 9/18. Join the Jersey City Public Library for their fundraiser at PJ Ryan's Squared this Thursday, 9/20. Tickets are $20 and include food and drinks. Corto announced they'll soon be launching lunch service. While no official date has been announced, more information and the menu will be coming soon. The Jersey City Landmarks Conservancy is hosting a special evening called Slice of History: Pizza & Jersey City. 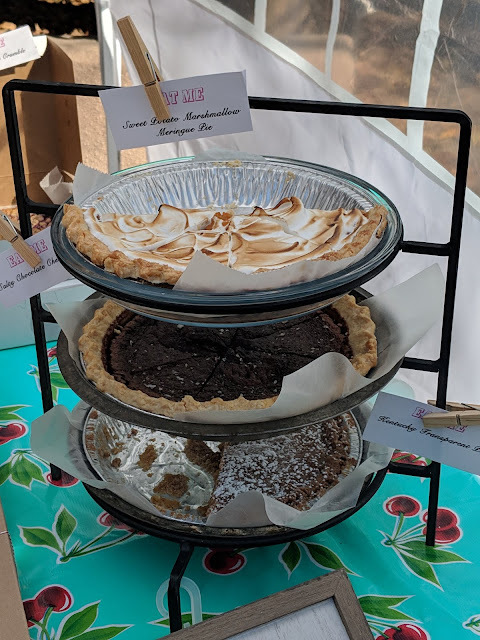 Scott from Scott's Pizza Tours will be there to cover the history of pizza in Jersey City along with a variety of featured pies. The event is on Tuesday, 10/23 and tickets are $25. The 8th Annual All About Downtown Street Fair is this Saturday and it promises to be bigger and better than ever. With the ongoing and worsening budget shortfalls in our school system, Jersey City Public Schools are continually without water for students. Because of lead contamination, drinking fountains and sinks are unusable for drinking water and instead, the school system relies on outside bottled water because of the lack of budget to replace. However, it's expensive and the bottled dispensers often run out, leaving students without water for the day. To provide a more successful and environmentally sustainable solution, student Harshal Agrawal has started a petition proposing line filtration and lead testing. Talde is holding a special Kamayan dinner this Thursday, 9/13. 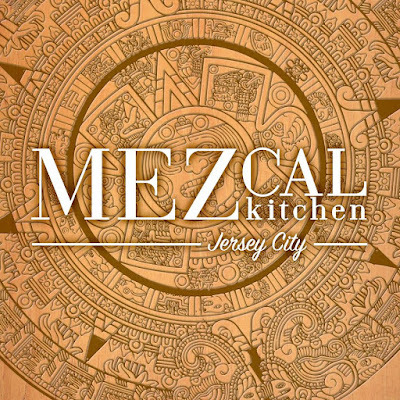 The theme is Magellan's Takeover and the dinner will have a Spanish influence. Tickets are $75/person for all you can eat and drink. 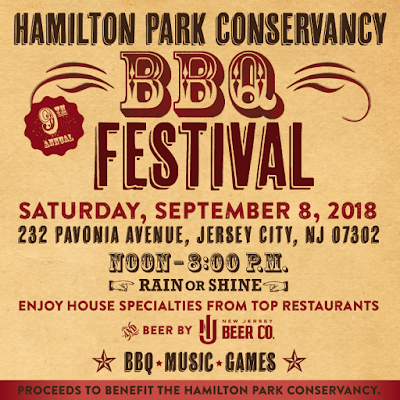 The 9th Annual Hamilton Park BBQ Festival is officially here! Held as a fundraiser for the Hamilton Park Conservancy, the BBQ Festival is a yearly event full of live music, family-friendly activities, drinks, and of course, lots of barbecue. 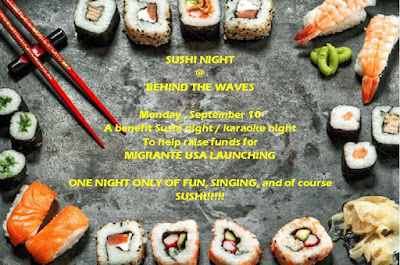 Las Olas "Behind the Waves" Sushi Truck and Migrante New Jersey have teamed up to offer a special fundraiser with both dinner and entertainment. This Wednesday is Rustique's 7th birthday! To celebrate, they'll be giving away free slices of plain pizza from 12-6pm for eat-in or take-out only. Surf City is hosting a Claws 2 Menu Lobster Fest featuring 10 different lobster dishes. It's running every night through Sunday, 9/16. 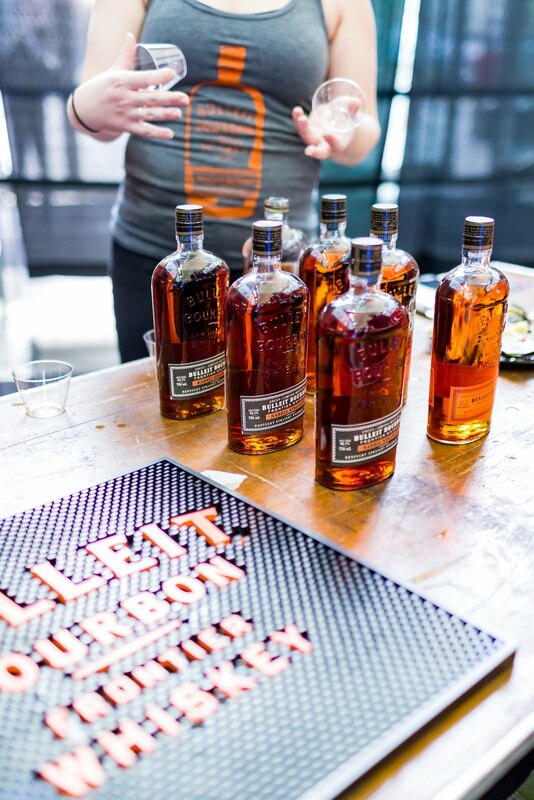 The Jersey City Craft Distillery Fest is less than a week away! Featuring over 100 styles of spirits from all over, the event will also have distillers and master blenders there to discuss their work and the drinks they create. Read below for more info and everything you get to try. Happy Labor Day Weekend! 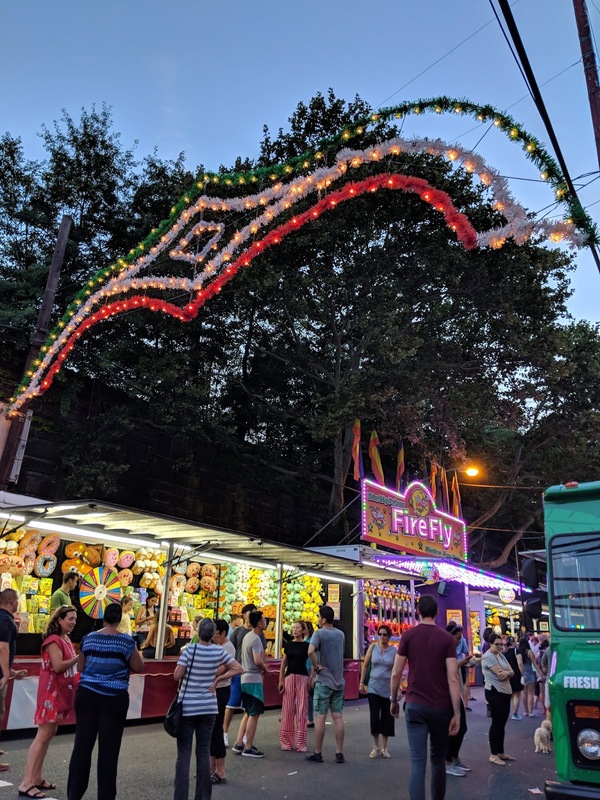 It's the unofficial end of summer and if you're sticking around town, there's a lot of great ways to celebrate, but also some closures for the holiday weekend. Popular steakhouse Ruth's Chris opened their newest location at Newport Centre on Monday, celebrating with their traditional steak-cutting ceremony and introducing attendees to their new, more modern look. 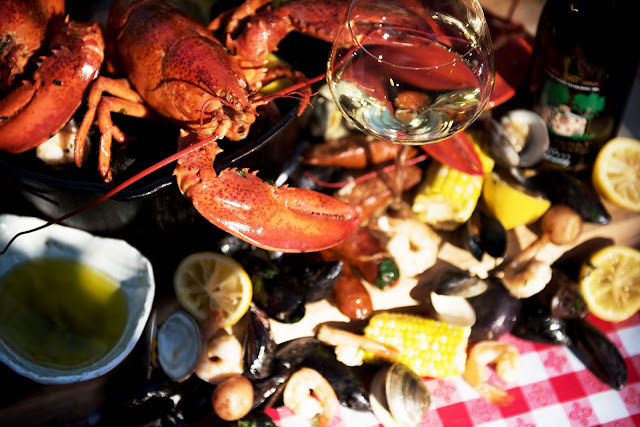 Liberty House is throwing their 2nd Annual Lobster Bake this Wednesday, 8/29. 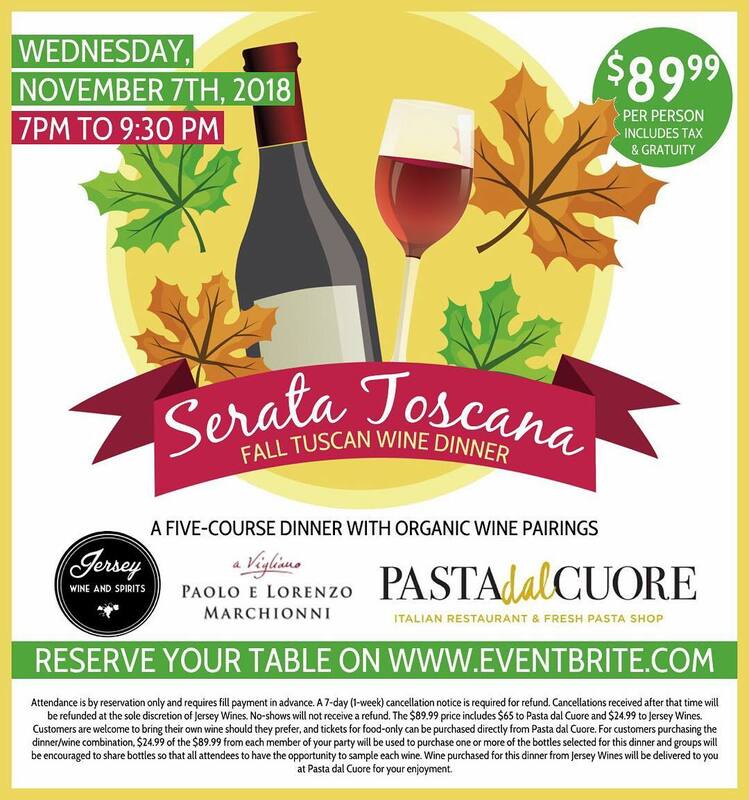 It begins at 7pm and is $65/person. Reservations are required. It's the last weekend for Zeppelin Hall's bbq-fest with two specialty grill menus, a Brazilian Rodizio themed-menu and a Smoke Haus BBQ menu representing different regions of the US. The Rodizio menu contains dishes like Picanha made with tri-tip, chimichurri, yucca fries and more while the Smoke Haus menu has entrees like Austin slow-cooked brisket and St. Louis-style pork ribs. Ideal for meat lovers, this will run Friday through Sunday only. 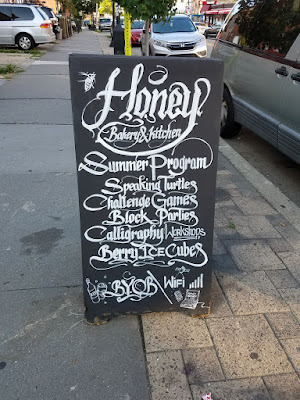 Honey Bakery, the much-loved Russian/Uzbekistan/Korean bakery and cafe, has closed for retail business and will instead be focusing on catering for the time being. New vegetarian Indo-Chinese restaurant Egg Curry opened up this weekend at 280 Central Ave in the Heights. They will be closed on Tuesdays, but otherwise open from noon-10pm during the week and noon-11pm on Fridays and Saturdays. Having started on Wednesday, La Festa Italiana really kicks into high gear for the weekend, beginning tonight from 5-11pm. 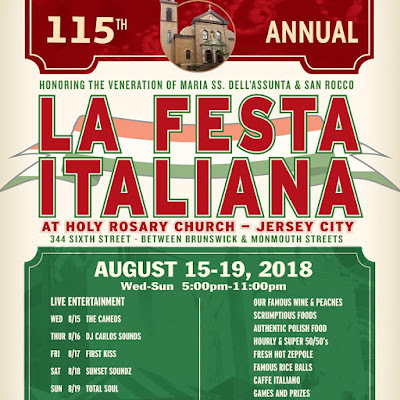 La Festa Italiana is back for its 115th year in Jersey City! Join Wurstbar, 516 Jersey Ave, this Thursday, 8/16 as they celebrate their second anniversary in Jersey City. 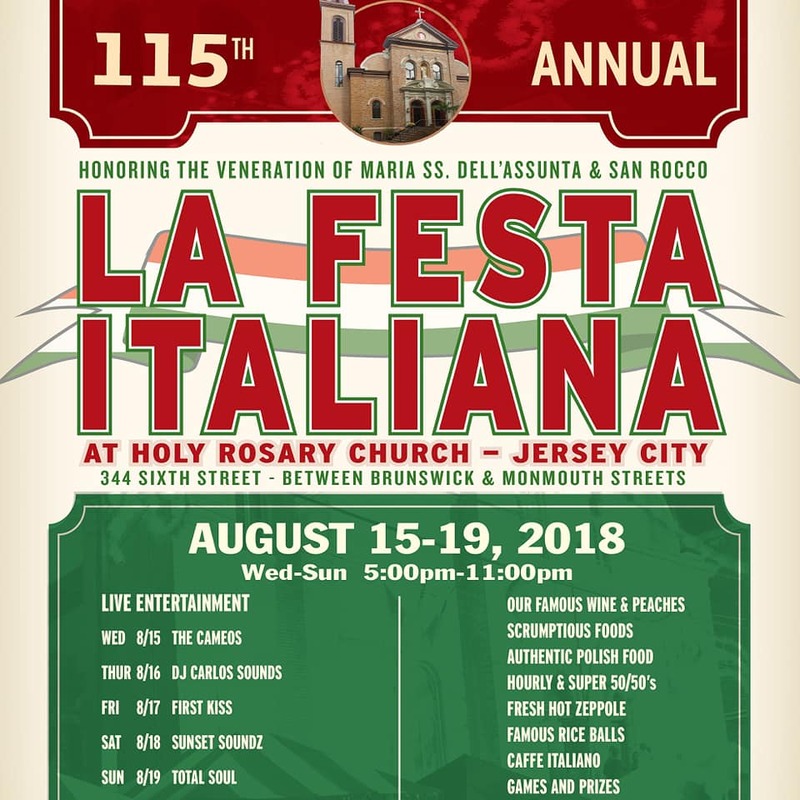 La Festa Italiana returns this week for its 115th year! Running from Wednesday 8/15-Sunday 8/19 from 5pm-11pm, the festival is one of the biggest events of the year and includes favorite traditions like the 50/50, live music, zeppoles, wine and peaches, and of course, the rice balls. Crepe Guru officially celebrated their soft opening last week at 110 Bright Street. 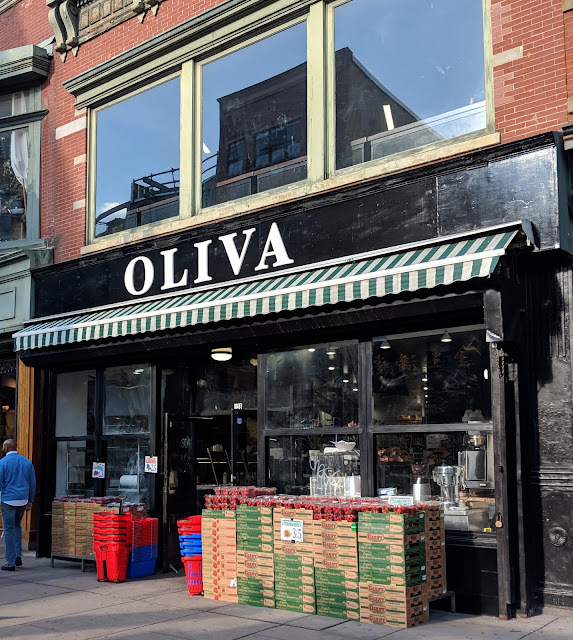 They've had the kitchen open for a while for pick-up and delivery, but have now actually opened the storefront up to customers. 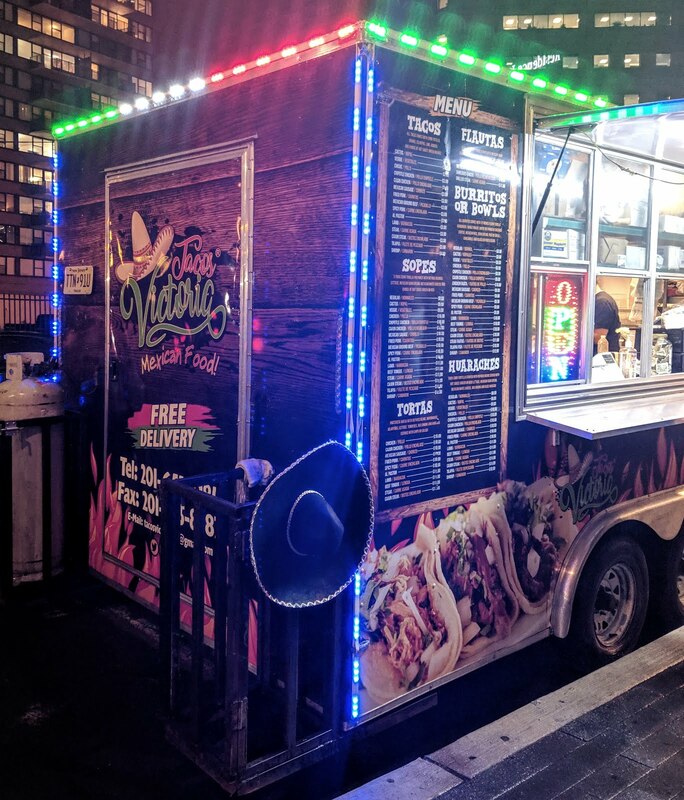 Formerly located in Hoboken, Crepe Guru is known for their sweet and savory crepes. 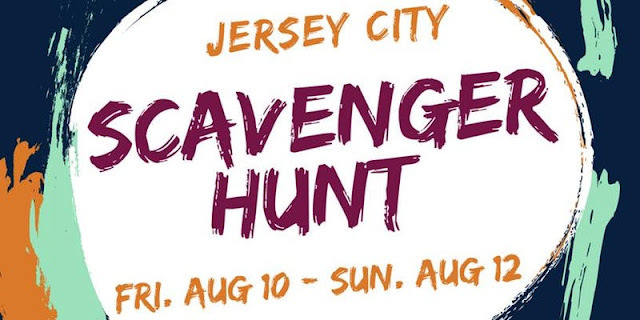 Beginning at noon, you can join a city-wide small business scavenger hunt, hosted by JCEDC Small Business Services. You'll receive clues to figure out which local businesses are part of the hunt, visit them to either make a small purchase or complete a task, and whoever visits the most businesses wins. 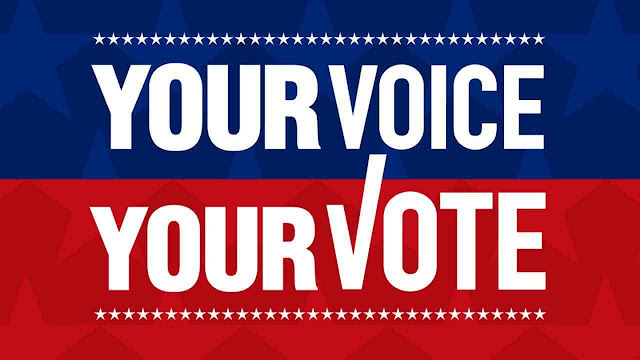 You are allowed to work in teams and you must visit at least one business in every ward to be eligible to win. The scavenger hunt will run all weekend and close with a special party and award ceremony with prizes like a night at Hyatt House, gift cards and more beginning at 2pm on Sunday. Popular burger chain Diesel & Duke officially opened the doors to their Jersey City location on Tuesday. New Cuban restaurant Rumba Cubana is now open! 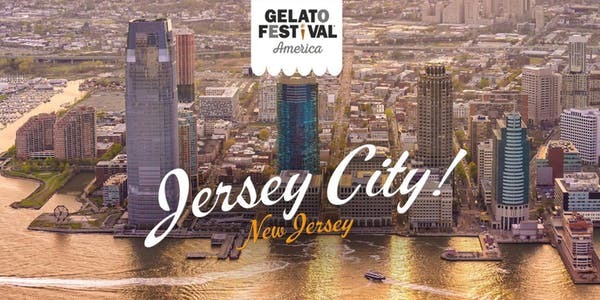 Head to Liberty State Park on 8/11 and 8/12 to join in on Gelato Festival 2018, part of a world-wide, three year long competition leading up to the 2021 Grand Finals in Italy to win the title of Gelato Festival World Master. Tonight is the last night to enjoy Restaurant Week in Hudson County. 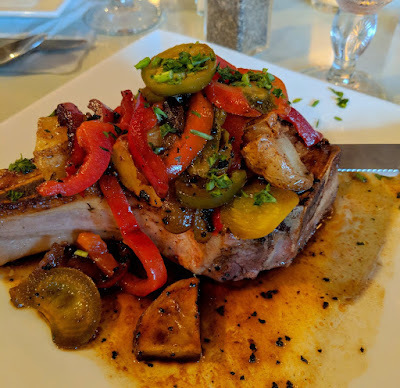 Get more info on participating restaurants here, and enjoy something delicious like this double cut pork chop from The Barge Inn, part of their Restaurant Week menu. 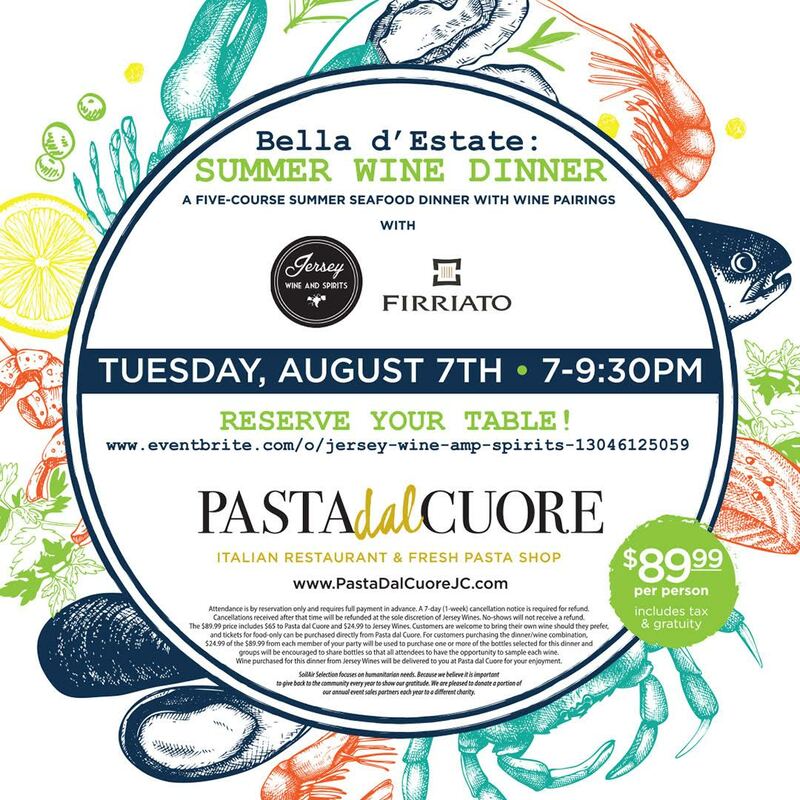 On Tuesday, August 7th, join Pasta Dal Cuore and Jersey Wine and Spirits for a special event - the Bella d'Estate Summer Seafood Wine Dinner. Join Pasta Dal Cuore and Jersey Wine & Spirits for their new collaboration, Bella d'Estate Summer Wine Dinner, a seasonal five course dinner featuring seafood and paired wines from Jersey Wine & Spirits and Sicilian winery Firriato. The dinner will be next Tuesday, 8/7. Zeppelin Hall is offering a special menu from now through August 19th, featuring cuisine from Tulum, Mexico. Dishes include fried oyster tacos, moljacates for two, and more. This is the first menu in a series, exploring cities and dishes from around the world.